Louis Comfort Tiffany began constructing Laurelton Hall on Long Island Sound in 1902. This 37,000 square foot country estate was one of the most acclaimed of its time and included an 84 room, 8 level mansion with conservatories, stables and other out structures – including one holding the reconstructed Tiffany chapel – laid out on 60 acres. It even had its own bowling alley and an electrically lit, cork-lined tunnel providing access to the nearby beach. The grounds included carefully planned gardens and a working farm, as well as wild natural areas that provided inspiration for his work including lamps, stained glass and jewelry, according to the Morse Museum of American Art. Tiffany designed every aspect of the estate including how the rooms were decorated. Tiffany had completely outfitted the interior of his new home by the time his family took up residence in 1905. “Laurelton Hall was filled to bursting with the products of Tiffany’s studio – stained glass, woodwork, architectural elements, furniture, and decorative glass and ceramic objects, which were freely interspersed with the many exotic objects he had collected during his travels around the world,” stated an article in the The Magazine Antiques published in 2000. Louis Comfort Tiffany envisioned the estate known as Laurelton Hall not only as a home for his family, but as a museum and haven for fellow artists. Many talented young students were invited there to live and study in fellowship with Tiffany in the inspirational setting he created. He intended for this to be his legacy and established a foundation to maintain the property for future generations. Hard times ensued for the Tiffany Foundation though, and his plan to preserve Laurelton Hall all but died with Tiffany in 1933 when he was 85 years-old. By 1946 most of the contents of the home were auctioned off, and the main house burned to the ground 11 years later. The property was complete with fountains encircling it and a stream flowing through the mansion and back out into the gardens where the Daffodil Terrace stood. This structure, with Italian-marble columns topped by translucent stained-glass blossoms created in Tiffany’s studio, has now been recreated at the Morse Museum. McKean and his wife Jeannette, who inherited a number of original Tiffany objects through her family and built upon that collection, established the Morse Museum of American Art in Winter Park, FL in the late 1940s well before other collectors were rediscovering Tiffany’s unparalleled array of decorative arts. 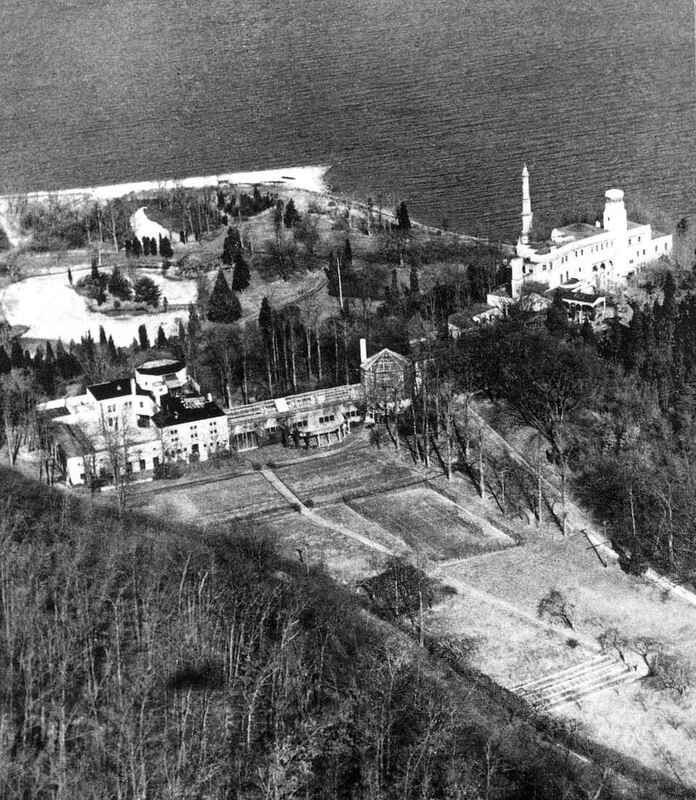 In 1957 when the couple learned of the fire that destroyed Laurelton Hall through a Tiffany family member, they visited what remained of the vast estate and salvaged all they could. Click here to take a pictorial walk through the Morse Museum of American Art’s tribute to Laurelton Hall.